1. What is «Pay Per Call» promotion? «Pay Per Call» is a new promotion on calls billed to your main account. 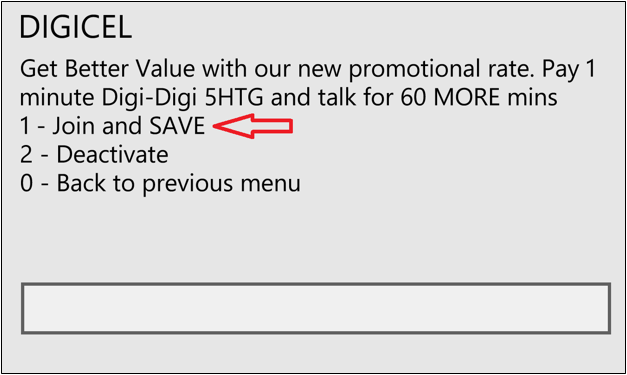 With this new promotion, you will pay a 61 minute Digi-Digi call for only 5 HTGs. You can activate this promotion from code * 111 # or the My Digicel application. 2. Am I eligible to use «Pay Per Call» Promotion? All Prepaid customers including customers using jen’s sim are eligible to our new «Pay Per Call» Promotion. 3. What is the benefit of «Pay Per Call» promotion? With the «Pay Per Call» promotion, you can enjoy much cheaper rates for all local Digicel to Digicel calls. You can talk up to 61 minutes on each call. 4. 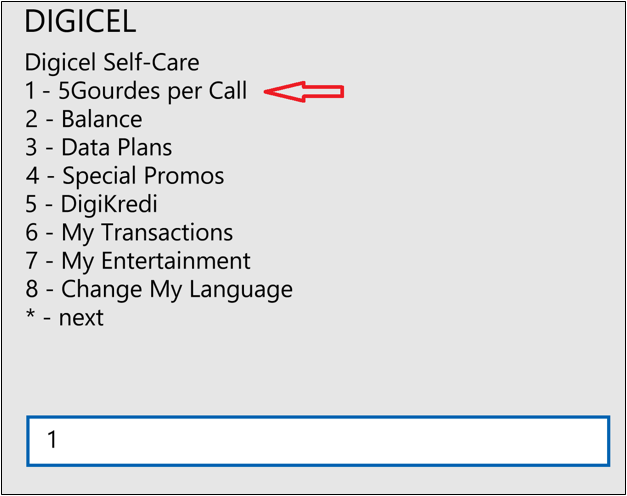 Can I use «Pay Per Call» promotion to call other Digicel Territories? Unfortunately no, if you call other Digicel territories while opted-in to the «Pay Per Call» Promotion you will be charged your regular per minute rate. The «Pay Per Call» Promotion is only applicable for calls made to local Digicel numbers. 5. How do I opt-in to use «Pay Per Call» promotion? Choose "My plans" and opt-in to "Pay Per Call" and then "Buy". *Please note that you can only opt-in and out of the «Pay Per Call» Promotion every 7 days. 6. My call keeps dropping after 61 minutes, why is that happening? The «Pay Per Call» promotion allow to pay 5Htg per call but after the 61 minutes, each of these calls will last for 61 minutes after which the call will automatically end., you can make as many calls as you want as long as you have sufficient credit on your account. 7. Does the 61 minutes «Pay Per Call» limitation apply to all calls? 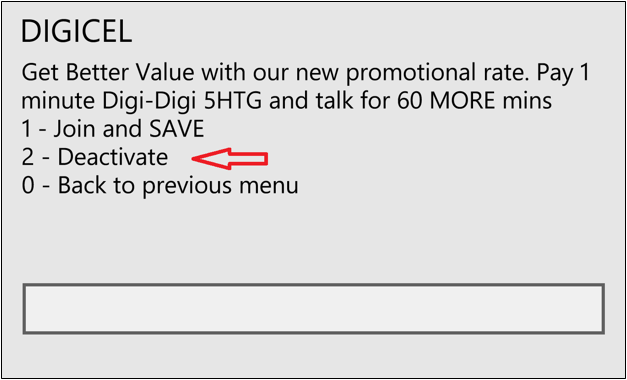 The 61 minutes Per Call limitation applies only to calls made to local Digicel numbers while using the «Pay Per Call» promotion. You can made another calls if you have sufficient minutes on your account. 8. Can I opt-out of this promotion? You can deactivate the promotion 7 days after. Select "My Plans" -> Choose "Pay Per Call" -> Press “Buy”. 9. Can I opt-in and opt-out as many times as I want? Once you have successfully opted-out of the «Pay Per Call» Promotion, you will be required to wait 7 days before you are able to opt-in to the service once more. 10. If I opt-in to use «Pay Per Call» but my credit finishes and the call drops, will I be able to continue making calls? Unfortunately no, if you have used all of your credit, you will not be able to make another call until your next recharge. 11. If I have less than 5 gourdes, will I be able to make the call? If your main balance is less than 5 HTG, you will be charged per second according to the plan activate on your number.